'Does the evidence reflect the reality under investigation?' This is just one of the important questions Marten Shipman asks in the fourth edition of his highly successful book, The Limitations of Social Research. Substantially revised and up-dated it probes not only the technical stages of research, but also its assumptions, procedures and dissemination. Controversy 1: Can there be Objectivity in Social Research? Controversy 2: Macho, Mourner, Freedom-Fighter or Thug? Controversy 4: What Really went on under the Banyan Trees? 11. 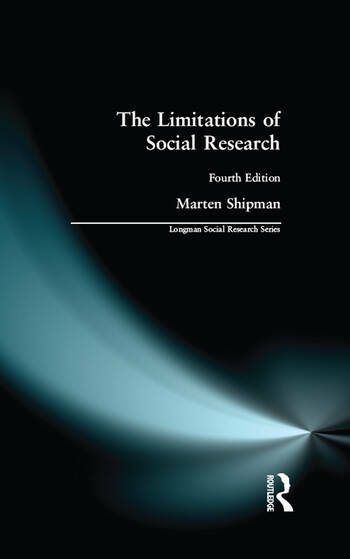 The limitations and scope of social research; References.